Tom lives a simple life as a single father of pre-teen daughter Sissy, but their estranged wife and mother has chosen a much different path. Natasha hops trains and has become a vagrant since leaving her family a few years earlier. After a dangerous encounter riding the rails, Natasha chooses to show up on the doorstep of the family she abandoned and finds an upset husband, although still deeply in love, and a little girl yearning for a mother. Can someone who covets independence settle down? 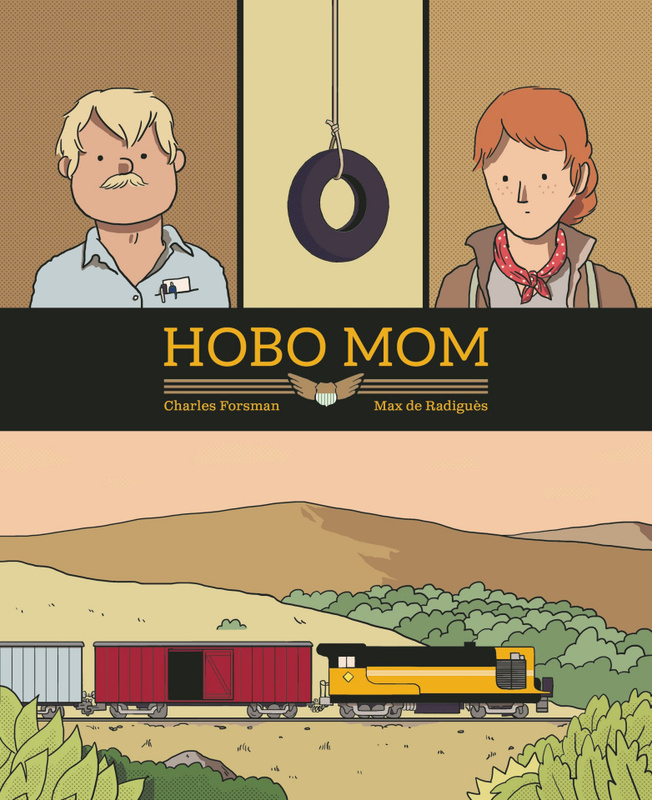 Forsman and de Radiguès's Hobo Mom explores the ideas of being trapped in domesticity and whether one deserves happiness, even at the cost of others.